As Star Wars fans eagerly await the first look at the first Star Wars series, The Mandalorian, which will be coming to Disney’s new streaming service, Disney+ in late 2019. 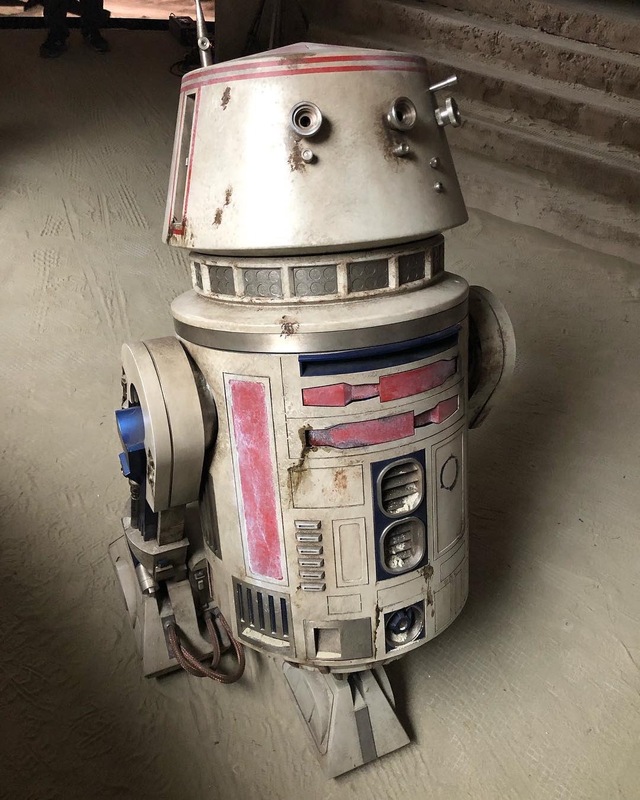 Jon Favreau has shared a behind the scenes image of the classic droid , R5-D4. This droid was originally seen in “A New Hope”, where Uncle Owen and Luke Skywalker purchased the droid from the Jawas, before it burnt out and they ended up leaving with R2-D2. Its unclear if this will be the exact same droid from “The New Hope” or just another droid. This isn’t the first droid teased for the new Star Wars: The Mandalorian series, as Jon Favreau also shared an image of IG-88 last year.